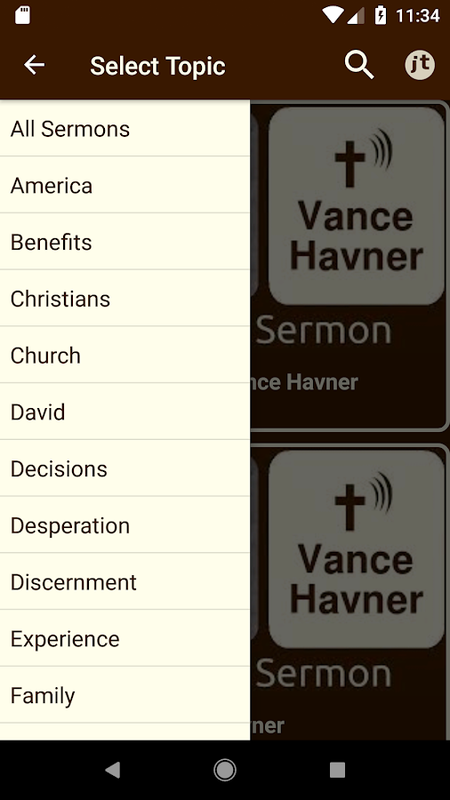 Easy access to more than 100 sermons by Vance Havner.Allcategorized into 31 different topics! Share sermons easilytofriends. Like and comment directly within the app. No ads.Dailynotification with a sermon by Vance Havner. Search VanceHavnersermons. Sermons about these topics: America BenefitsChristiansChurchDavid Decisions Desperation Discernment ExperienceFamilyFeeding Glory Gospel Heaven Isaiah Judgement Lordship LotMiraclesMoses Observations Patriotism Religion Repentance RevivalServeStubbornness Survival Testimony Temptations Thirst ThornsDon'tforget to Share The Sermon with friends. God Bless!